If the title of this post made you think of an accidental fall that leads to a chipped or knocked-out tooth, you may be surprised by what you read below. Although it is true that there is a risk of slipping and falling near a swimming pool, the damage addressed in this post has to do with improper pH levels in your family-owned, refreshing oasis. But can pH levels in pool water really damage teeth? Read below as your Des Moines IA general dentist, Dr. Jessica Johnson, brings you the latest dental research on this very topic. Maintaining a pool can be a rather difficult task. It takes diligence and consistent observation and work to keep the water at the proper chlorine level and pH balance. However, recent research indicates that maintaining your pool may save your teeth from serious harm. According to a study published out of NYU, pool water with improper chlorine and pH levels can cause rapid erosion of enamel, damaging teeth and making them vulnerable to attack from bacteria. The results of this research stem from a case in which a man experience severe enamel loss and staining over a 5-month time period. These effects coincided with his beginning an exercise routine consisting of 90 minutes of swimming, and the absence of other discernible causes of these problems led the researches to investigate the impact of improperly maintained pool water on teeth. 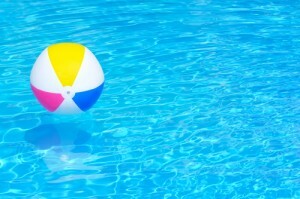 Thus, if you own a pool, take extra care in your maintenance this summer. Your teeth will thank you. If you haven’t attended a dental visit in the last six months, you are due for a checkup. Regular dental visits can remove harmful plaque from teeth, lowering the likelihood of tooth decay and gum disease. If you would like to schedule an appointment, contact your Des Moines IA general dentist, Dr. Johnson, today to schedule an appointment or a consultation by calling our 50266 dentist office at 515-223-9764. We welcome patients from West Des Moines, Waukee, Clive, and nearby Des Moines metro communities. This entry was posted	on Tuesday, June 4th, 2013 at 9:04 pm	and is filed under Blog, News in Dentistry, Patient Education. You can follow any responses to this entry through the RSS 2.0 feed. Responses are currently closed, but you can trackback from your own site.